There are times you wish it was cooler in Singapore, but as hard as you may wish it will never really snow there, will it? And for those who love the snow and crave to spend some time in a cool place, should know that possibilities are these to escape the metropolitan clutter not too far from the city. Letting the travelers beat the heat like a pro, these hill stations near Singapore are a perfect retreat to all the travelers! 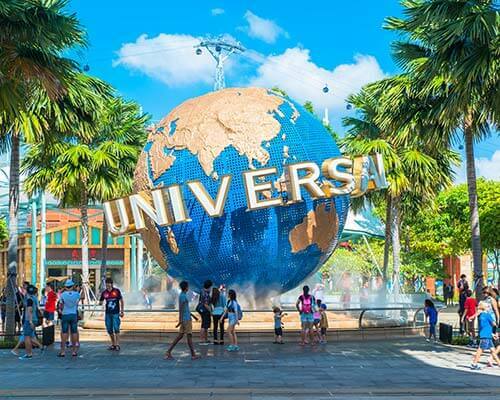 While there are a lot of cold places to visit near Singapore, checkout some of the best hill stations near Singapore for a fun-filled vacation with your loved ones! 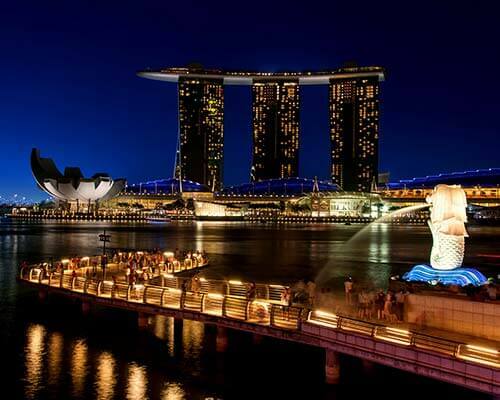 Looking forward to book a weekend getaway to beat the notorious heat of Singapore? 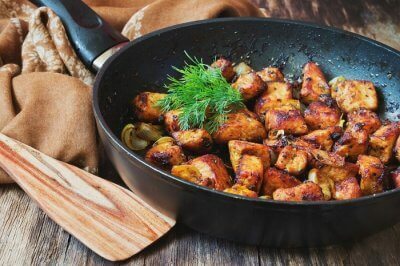 Plan a trip to Bukit Tinggi Pahang hill station in Singapore that sits serenely in the district of Pahang, and is the perfect place to enjoy some great food, and a relaxing weekend. One of the most famous attractions on this hill station is Colmar Tropicale which is a medieval village and resort with a French theme, and is said to resemble the beautiful Alsace territory of France. How To Get There: Drive up to Kuala Lumpur and go onto MRR2 and take the Kuala Lumpur-Karak expressway that heads towards Kuantan. 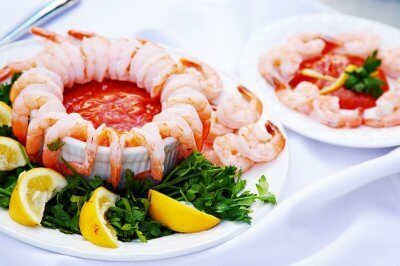 Go further and drive past the Genting Highlands exit and through the large tunnel that passes via the mountains. A few miles further up this road you will find the sign to Bukit Tinggi. Formerly known as Maxwell Hill, Bukit Larut is one of the oldest hill resorts in the vicinity of Singapore. It was founded by William Edward Maxwell in the year 1884 to cater to the needs of British officials who needed a break from the sweltering heat of the lowlands. 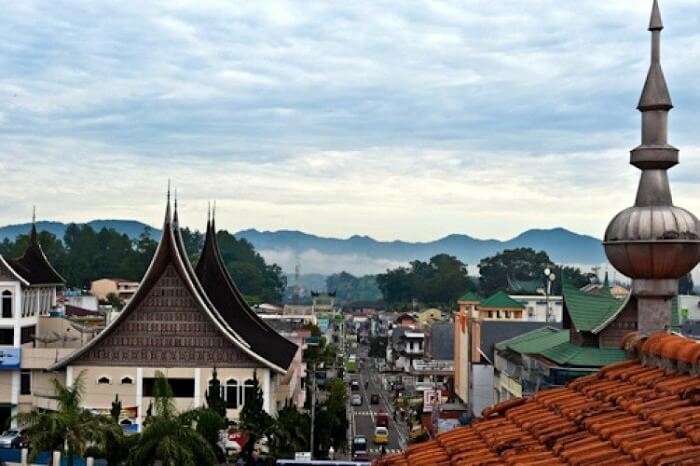 Situated at about 1,250 m above sea level, Bukit Larut is one of the most famous hill stations near Singapore. The daily temperature here ranges between 10 and 25 degree Celsius, and it also holds the record of being one of the wettest places in Malaysia. 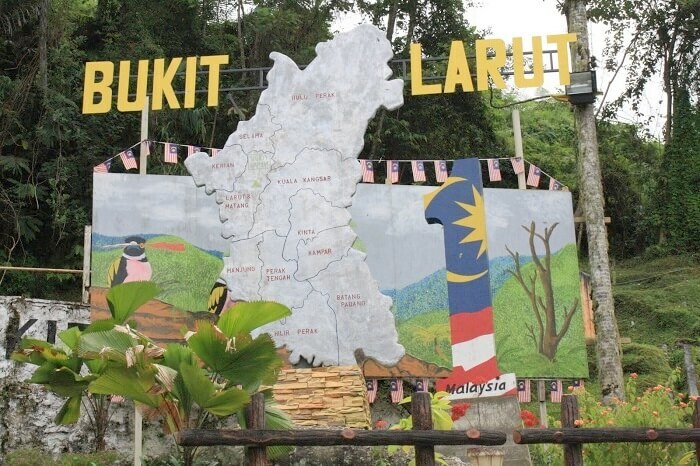 How To Get There: Bukit Larut is about 180 miles from the city of Kuala Lumpur. Once you arrive in Taiping town, drive towards Taiping Lake Garden. Follow the turning that to Jalan Air Terjun and drive towards the foot of the hill. You will have to park your vehicle here and hop onto a government Land Rover that will take you to the summit. 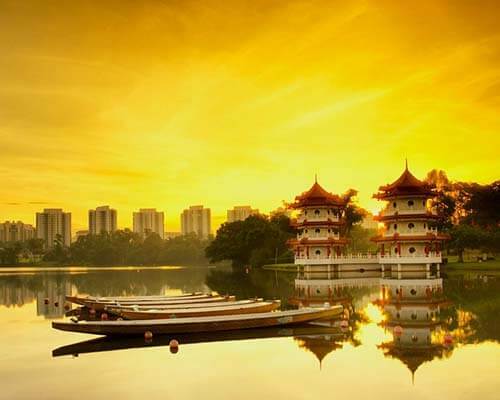 This is one of the most exquisite extensive hill stations near Singapore that houses a collection of little towns and boasts of the best tourist amenities. Cameron highlands is a great place to enjoy cool climate, breathtaking scenic viewpoints, numerous hiking trails and a lot more. 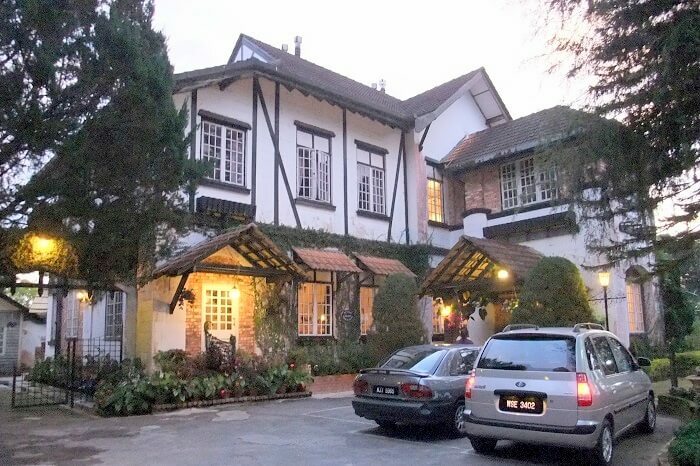 While most exquisite resorts are situated in Tanah Rata, you may also check into a smaller guesthouse at Brinchang. 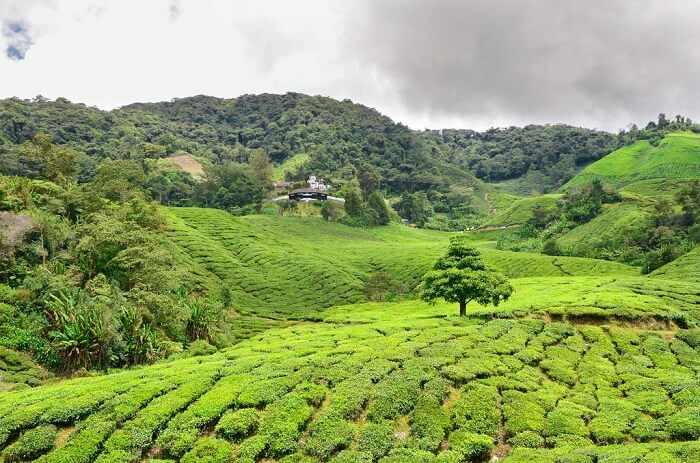 Known for its many tea plantations and strawberry farms, one can also explore the 18-hole golf course in Cameron Highlands that is open to public. 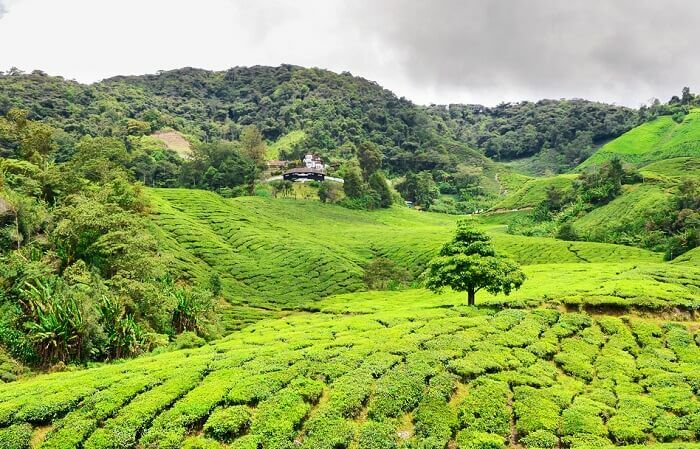 With so many things to do, it is no wonder that Cameron Highlands features in the list of best hill stations near Singapore. How To Get There: Take the Simpang Pulai 137 exit on the North South Expressway. Drive down until you reach the toll station and take a right at the traffic light. Drive further up for another 200 meters till you see another traffic light. Here, turn right onto route A181 that will lead you to Cameron Highlands. Now, this is a less known tourist destination perfect for those who wish to spend a quiet and satisfying vacation amidst lush greenery. This beautiful hill station that is nestled among the majestic mountains of Pahang, is just a two-hour drive from Kuala Lumpur. 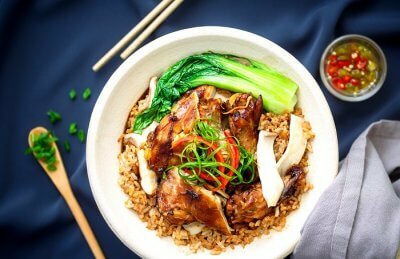 The drive to Fraser’s hill in itself is a stimulating experience that makes it one of the best hill stations near Singapore to enjoy a weekend in total solitude. The uphill road is rather narrow and the final stretch of 8 kilometres is limited to one-way traffic, and the direction changes every hour for ascending and descending the hill. How To Get There: You can reach Fraser’s Hill by car. Take the Kuala Kubu Bharu exit once you reach the North-South Expressway. There are a number of signboards that will lead you to Bukit Fraser. Has the wanderlust kicked in yet? 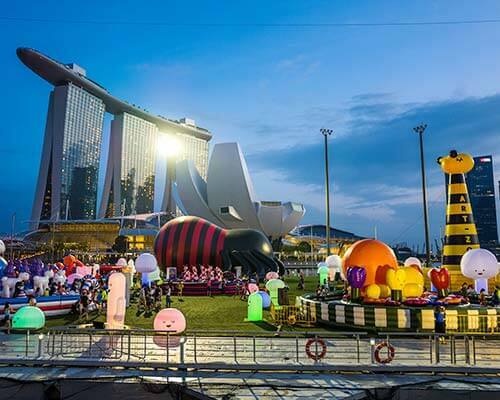 Get going to explore these best hill stations near Singapore on your next trip to this Merlion City. 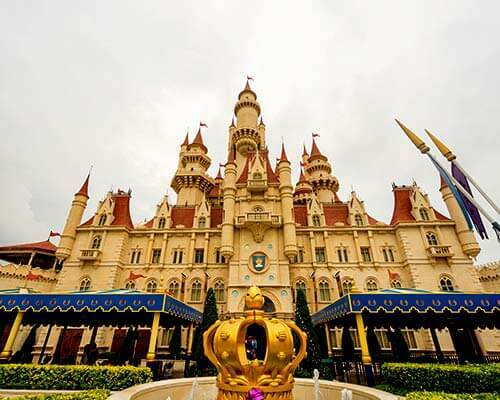 Just book one of the best Singapore tour packages, and let TravelTriangle plan an ultimate holiday for you in no time!